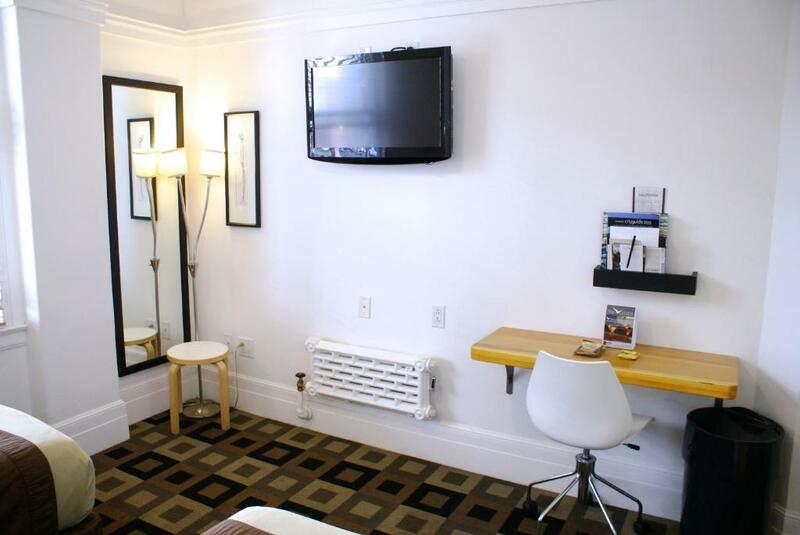 The Mosser's prime location on 4th Street downtown and comfortable platform beds in a chic century-old hotel win raves from our guests. 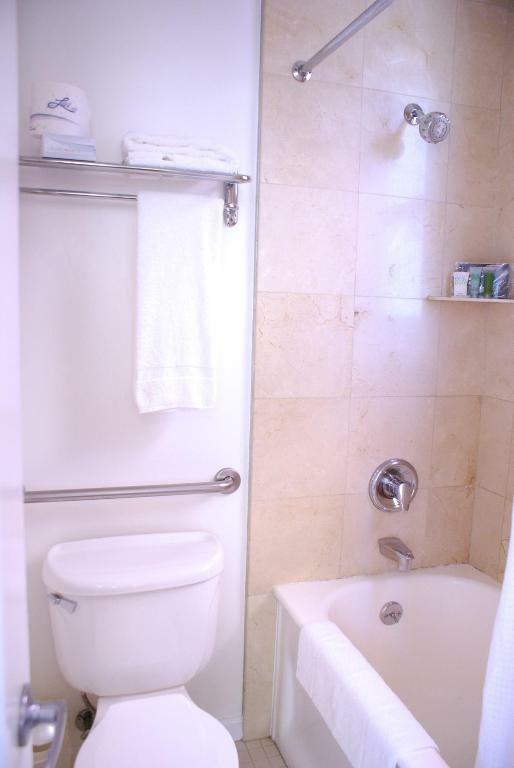 The hotel has 112 rooms with baths and 54 economical rooms with shared baths. 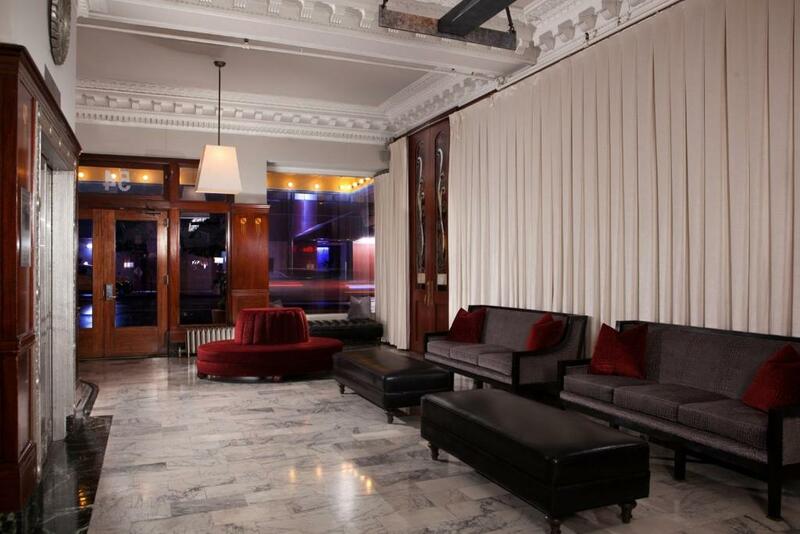 Built in 1913 the Mosser fuses old-world and contemporary design and rooms include Victorian period fixtures crown molding and bay windows with window seats. 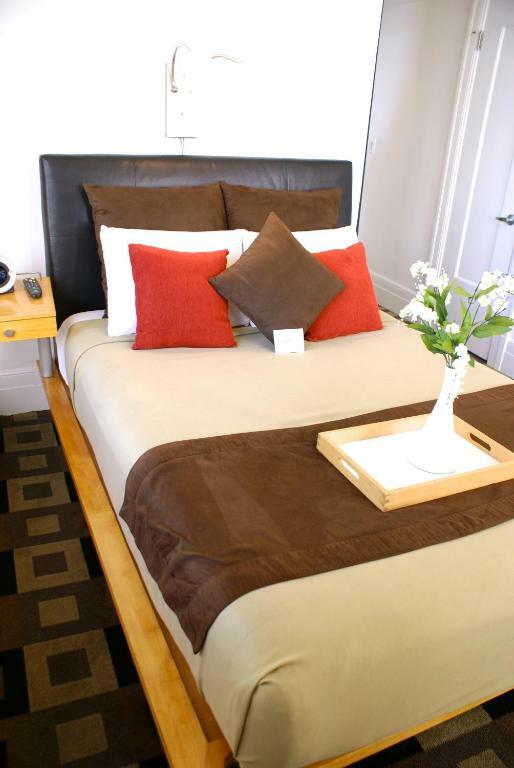 All rooms are non-smoking and have free Wi-Fi. There is a perfect people-watching bar and restaurant on-site. If you'd like to indulge your inner musician the hotel also features a recording studio which you can use (for a fee). 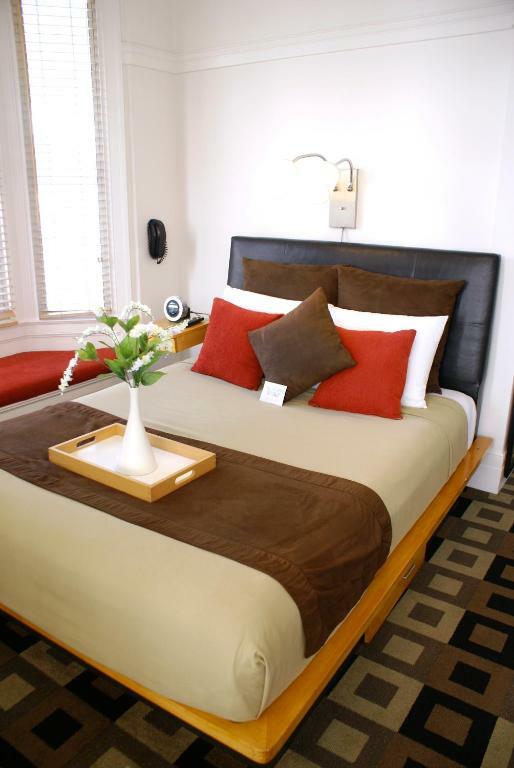 The hotel is midway between San Francisco's Union Square and Moscone Convention Center each of which is three blocks away. 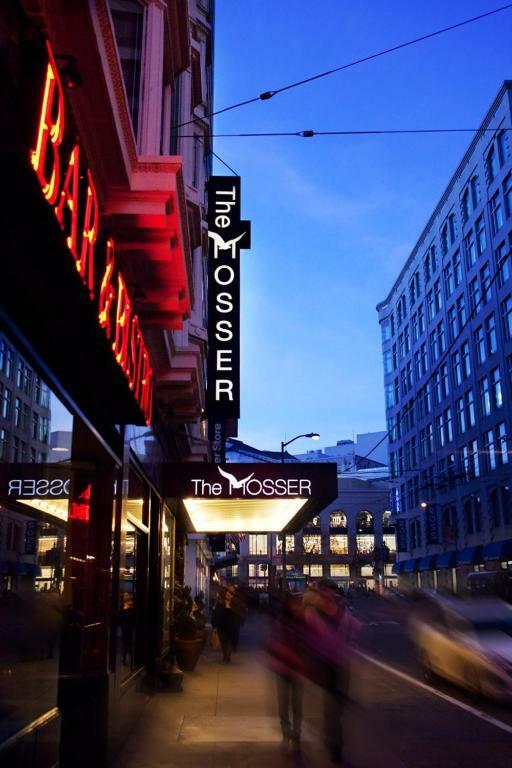 The Mosser is 14 miles from San Francisco International Airport and 19 miles from Oakland International Airport. A Muni Metro and BART (Bay Area Rapid Transit) rail station is within two blocks. 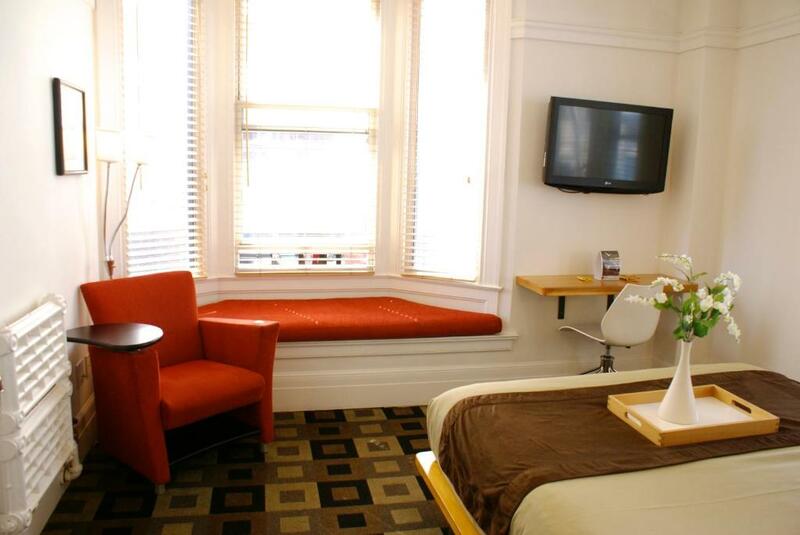 With an ideal location a fair price charming rooms and modern amenities there's a lot to like about the historic Mosser.